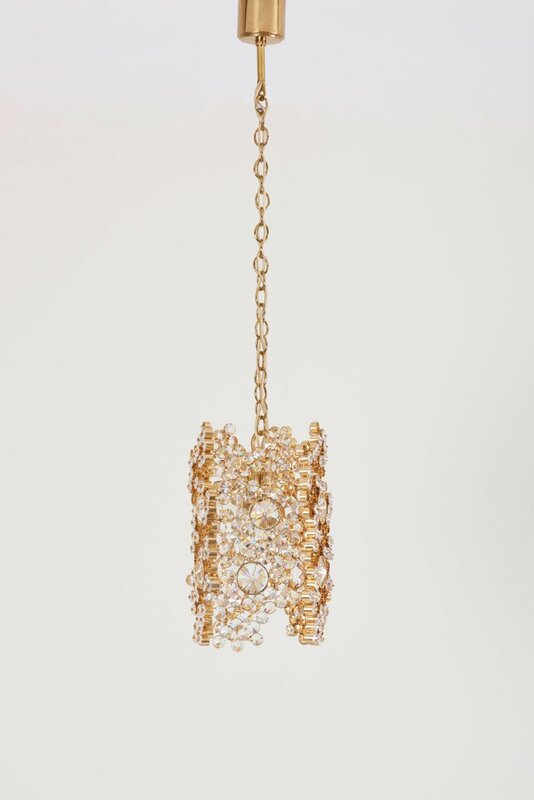 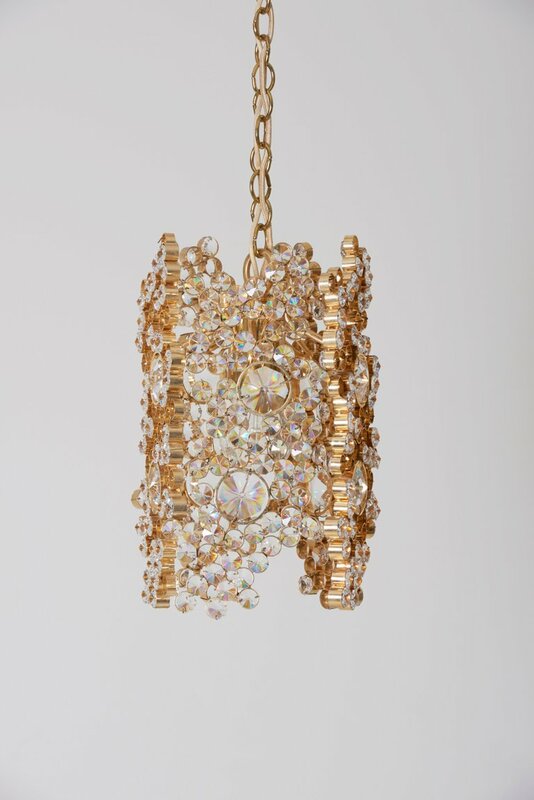 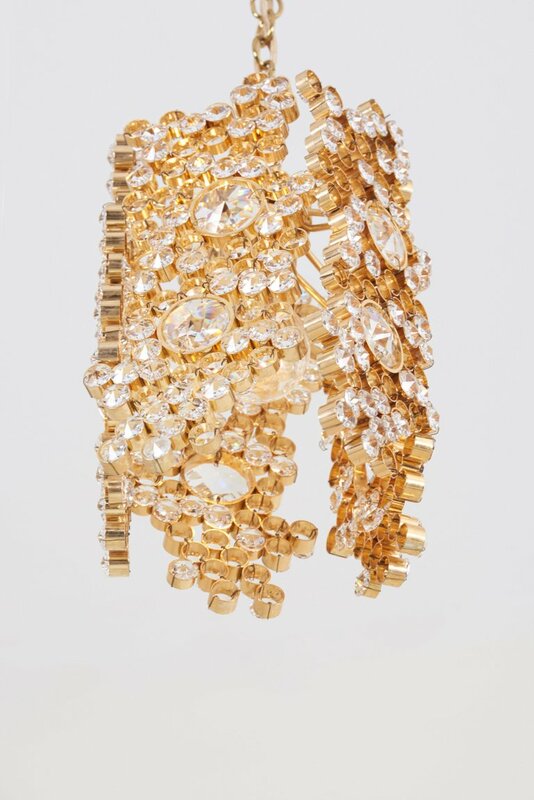 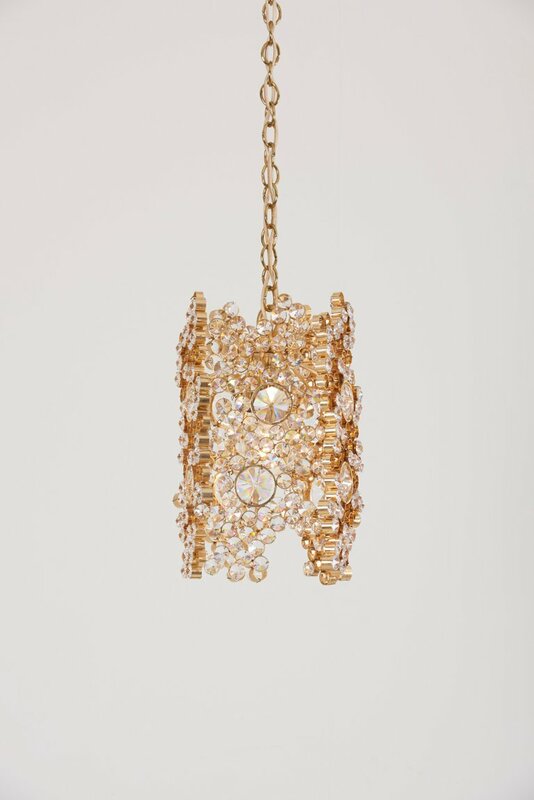 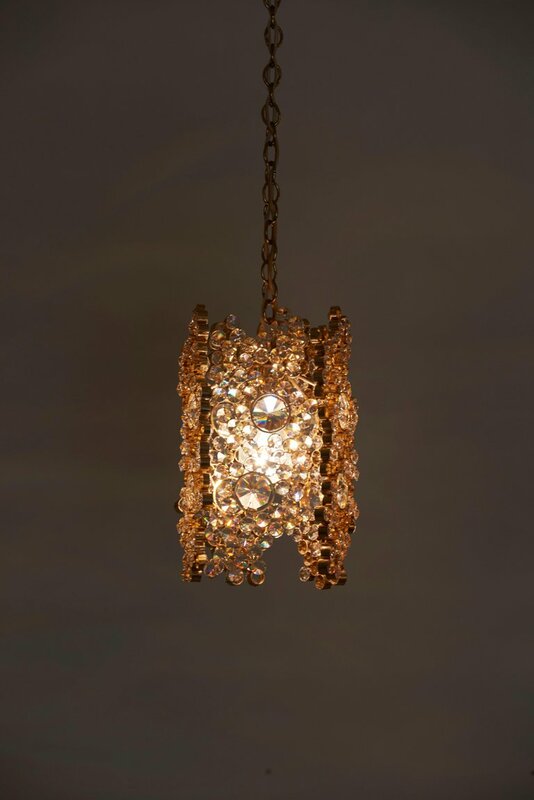 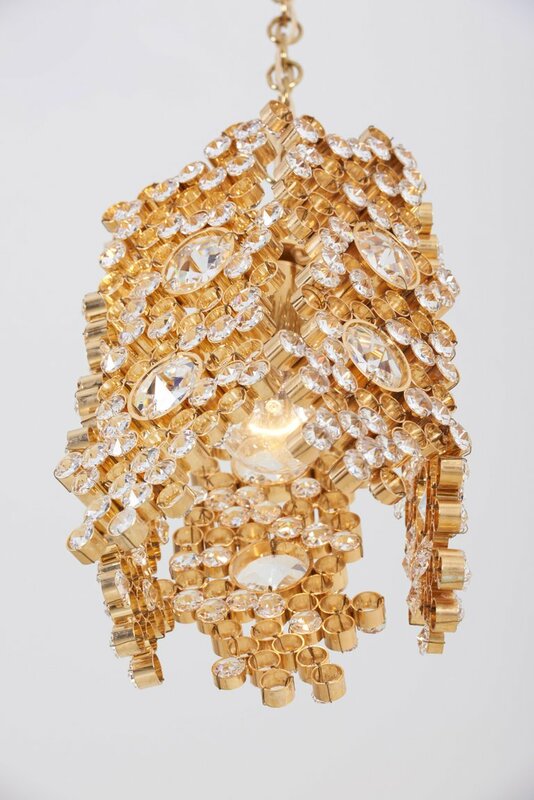 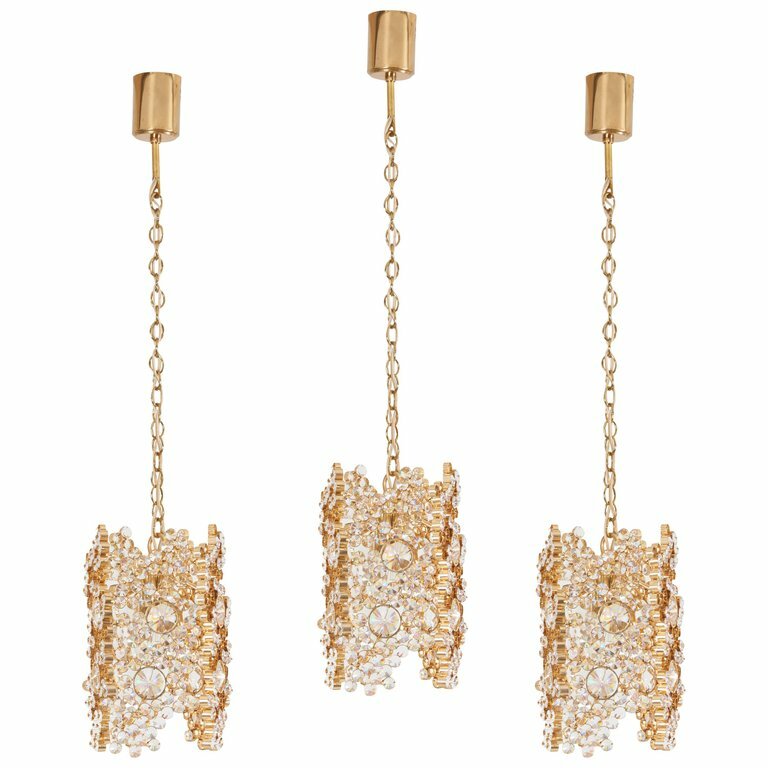 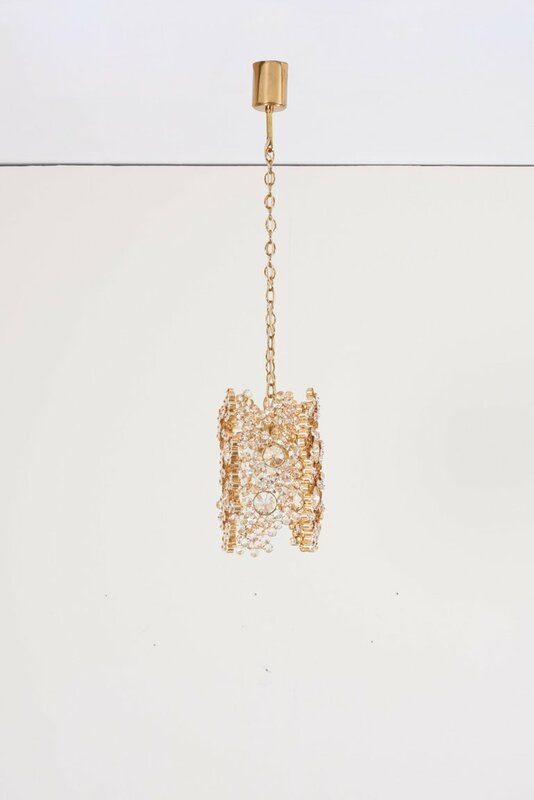 One of Three Palwa Gilded Brass and Crystal Glass Encrusted Pendant Lamps, Model S107. 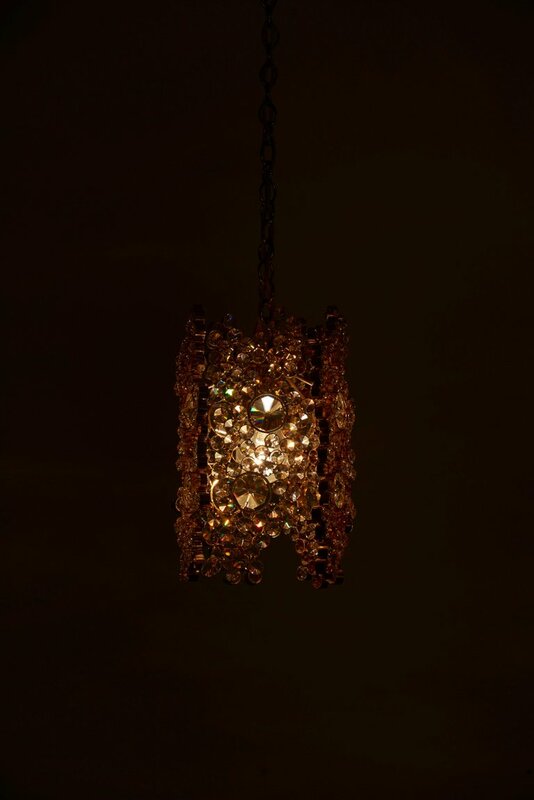 The lamps are handmade and in excellent condition and float every room in a beautiful warm light. It is fitted with one E27 bulb.